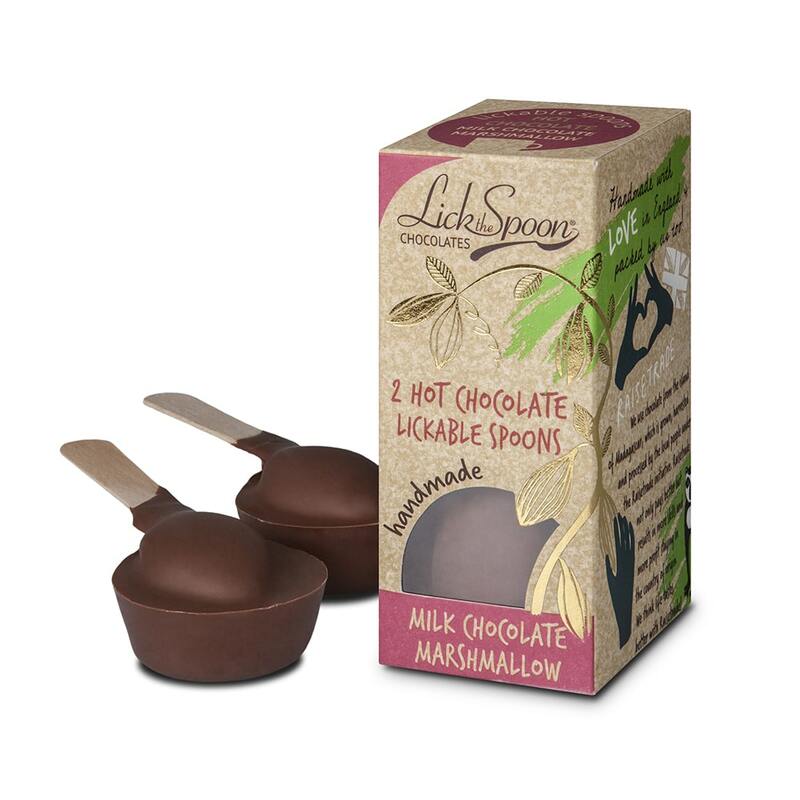 Our Hot Chocolate Marshmallow Spoons are the perfect way to add a little naughtiness to your hot drink! Enjoy as a tasty treat or luxurious hot chocolate. Made with our Madagascan 40% cocoa house blend milk chocolate. New increased weight of 70g! Our Hot Chocolate Marshmallow Spoons are the perfect way to add a little naughtiness to your hot drink! Enjoy as a tasty treat or luxurious hot chocolate. Made with our Madagascan 40% cocoa house blend milk chocolate roasted and conched on the Island of Madagascar – Raisetrade. 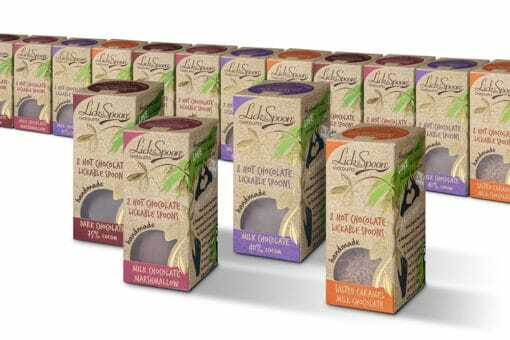 Simply dunk one lickable spoon into about 150ml of very hot milk and stir to create a delicious hot chocolate. 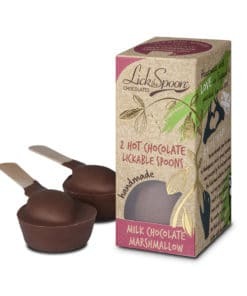 The original Lickable Hot Chocolate Marshmallow Spoon! They’re lickable, crunchable, meltable, munchable! These make a lovely gift, treat yourself, or the perfect stocking filler or Secret Santa at Christmas. 70g. Pack of two spoons. Biodegradable window, fully recyclable. Ambient storage. Keep in a cool dry place away from strong odours and sunlight. The boxes are cardboard and have a biodegradeable window. They can be composted or recycled with cardboard. The Spoons are made from biodegradeable Birch. They are FSC and Soil Association woodmark certified as responsibly sourced. The larger Ultipac bubbles are made from reclaimed plastic. By volume only 1% of the material remains when burst and can be recycled in household plastic bins. Or please reuse them for your own parcels. I cant recommend these little spoons of delishousness enough , pure heaven in a cup with the added bonus of licking the spoon and tasting silky choc and sweet marshmallow as well . Simply gorgeous , puts other hot choc drinks in the shade . I purchased these at the Bath Christmas Markets and these are absolutely amazing! They taste so good I am actually considering buying some for all of my nieces and nephews!